Why buy raised garden boxes and raised flower beds? Got a green thumb? Some of the best investments you can make when cultivating your inner gardener are using raised garden beds. 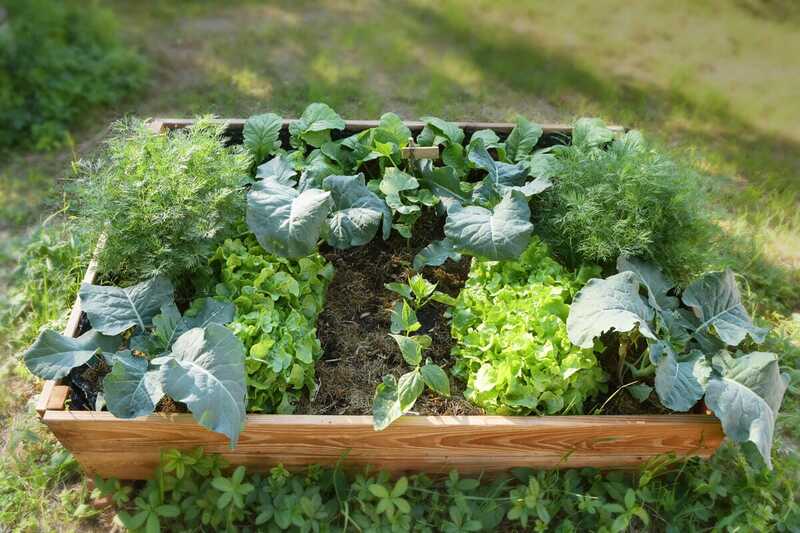 Raised beds or garden boxes are a good solution for creating a simple flower or vegetable garden in a smaller square footage. They can be made of wooden planks, metal sheets, or other materials that form a box which rests directly on the ground. Raised garden boxes have an open bottom to allow for the plants’ roots to grow. Soil won’t erode away like it does with traditional in-ground gardens. Garden soil and mulch are kept within the raised garden box, which is helpful especially during rainstorms when topsoil would wash away in other gardens. Weeds and pests have a harder time getting into your vegetable garden and flower beds when in a raised garden box. This lets plants to grow more freely without as many hindrances! For gardeners with back pain, having to bend down to tend to your garden can be a strenuous endeavor. But raised boxes are higher up for less bending over. Gardeners may even be able to sit on the edge while they water their plants if their raised garden bed is strong enough. The open bottom found in raised flower beds and garden boxes can give your garden the potential to grow more and more. Elevated planters, on the other hand, have a closed bottom or barrier that keeps soil in the garden planter, but that gives less room for roots to expand deeper. What types of raised flower beds or garden boxes are available at Grizzly’s? At Grizzly’s Landscape Supply & Services, we have all the raised garden beds and raised flower beds you need. Find our garden supply store near Lewes, DE, serving all of Delaware’s Sussex County to see all of our products in person! 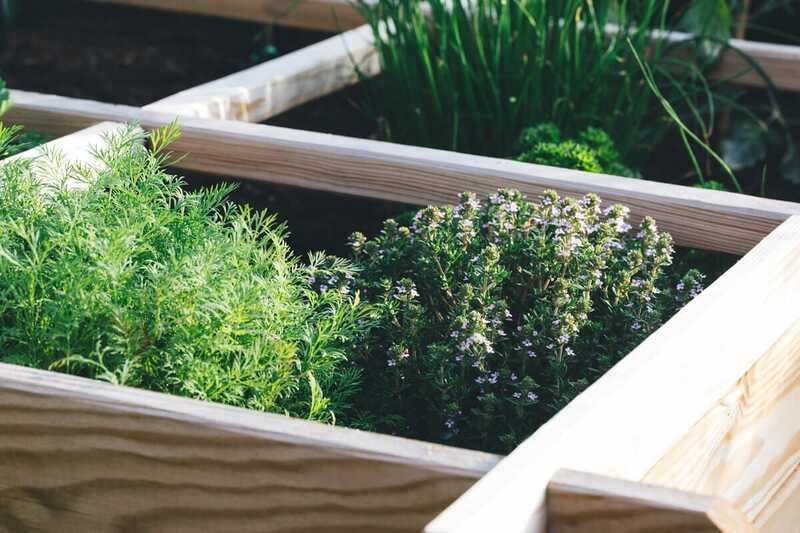 We carry raised garden boxes that are lower to the ground or taller in height, depending on your preferred look and how much you want to bend your back while gardening. Our garden boxes for sale come in a variety of styles. Come find raised garden beds made with railroad ties or other wooden materials. If you want to make a raised garden bed yourself, Grizzly’s also sells railroad ties and landscaping timbers that can be purchased individually. Make matters even simpler by contacting Grizzly’s to construct and install a raised flower bed or garden box for you! Our team will arrive at your home right on the dot and install a sturdy, raised garden bed to your liking. We also offer garden bed maintenance services when you want to give your vegetable or flower garden expert care and attention. If you aren’t sure what you want in a garden box, work with our professional gardeners and landscapers to decide on the right style and size for your raised garden or flower bed. Contact us for raised garden box installation and maintenance services! Visit Grizzly’s today to buy your raised garden boxes and raised flower beds! Ask us about garden bed delivery and installation, or our garden maintenance services for each of the seasons. Our landscaping and gardening experts near Lewes, DE can help with general garden bed care, weeding, landscape edging, planting new bulbs, trimming, pruning, and more. Contact us for all your raised flower bed and raised garden box needs! © 2019 by Grizzly's Landscape Supply & Services. All rights reserved.